As we enter this week of Thanksgiving, it reminds me of what I was taught as a young child, that November is a month when we reflect upon all of the things we are thankful for, and December begins the period of giving and sharing our time, talent and treasure. As I reflect back over the past year and prepare for this big feast of turkey and lasagna (can’t get away from it), I know that first and foremost I am thankful for God and the blessings he has provided to me. While maybe not politically correct to say so in a blog, I feel compelled to share that it is so nice that, no matter what hits me during the year and no matter who is challenging me, I never feel alone. This is a great time of year for those of you who have a relationship with a higher being to re-establish it, rekindle it and perhaps derive the benefits obtained from it. The next thing I am most grateful for is my family. Having been married for 23 years to the same beautiful woman and having three children who never cease to amaze me, it is so rewarding to always know that I am loved no matter how bad I’m behaving or how much I may have to work in a particular week. With them and our extended family, there's so much treasure in past history and traditions that we are able to share, and that brings true joy to life. Perhaps though, it is a triple bonus that I have so much thanks for the people I work with. Having the joy of working with Molly Hall and Victoria Collier as my partners in Lawyers With Purpose has been a blessing rarely achieved. Not only are Molly and Victoria so giving of themselves to me and our great staff, but also to the members we serve. I would not be half the person I am without them constantly reminding me of integrity, kindness and joy. Continuing, my thanks would be incomplete without including the others I work with. 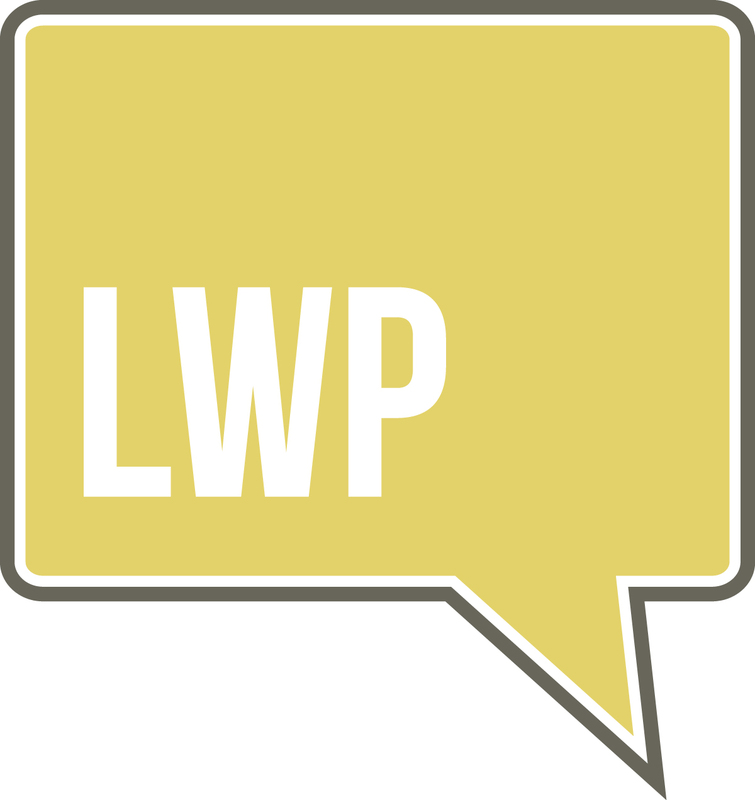 As I was reading the Facebook post of one of our co-workers celebrating how much they enjoy working with us, I felt compelled to reply that the pleasure of working with LWP is a function of the people who are there, including the author of the Facebook comment. What a great joy to work with people you like, admire and respect. We are blessed to have a group of people who are so committed to having an impact on not only the legal community we serve, but also the legal estate planning community overall, not just for the purpose of benefiting themselves, but ultimately for the clients who all of us serve every day. Finally, but not last and absolutely not least, I am so thankful for our members, who consistently trust us to help them grow their businesses, get balance in their personal lives and continue to strive to create the best strategies for the seniors and families that we serve. It is a little piece of heaven on earth to know that, because of Lawyers With Purpose, seniors who are at a very fragile time in their lives don't have to face it alone and in fear. So as you go into this Thanksgiving holiday, take the time to thank those who have been important to you over this past year, and consider sharing your gifts and talents to make the lives of others just a wee bit better, if only for the moment of your interaction. And if you believe in God, or something similar, take a moment to reconnect and give thanks for the many blessings you have. Thank you for your patronage and I look forward to having a meaningful impact on the communities we serve, together. Happy Thanksgiving. This week's topic is Who Should Consider Medicaid Planning? Learn and Identify the Rules. Whether it's the dark and cold rolling in or the approaching of turkey day, this time of year always tends to slow people down as we come to the busiest time of the year. Blogs and social posts are consumed with gratitude this time of year, with their 30-day gratitude challenges and themes of Thanksgiving. At LWP we are joyfully hopping on the bandwagon. In preparation for our customary Thanksgiving blog, I started thinking about what I am most grateful for, and it came to me as powerfully as a Tibetan bell at 5:45 a.m. on the way to yoga. For me, all roads to abundance that I have created in my life stem from the power of the pause, i.e. self-care. And that, for me, is my daily yoga practice. It really got me thinking about all the things I am so deeply, deeply grateful for in my life. Laney and all our accomplishments, including publishing a book and starting on the path of writing our second book, a follow-up to "Don’t Be a Yes Chick!" Dave and Victoria and the remarkable partnership that allows each of us to not only be the best version of ourselves but also to make an enormous impact on so many lives. All the deep friendships I have in this life, each of which is nothing short of truly authentic. The amazing LWP team and the unified mission we are all on, ensuring that work often doesn’t feel like work. But to be completely honest, none of these gifts would be as rich or deeply fulfilling for any of the beneficiaries without my intentional prep work, daily. My unwavering commitment to make self-care a priority allows me to intentionally fuel my mind, body and heart by committing to my daily yoga practice. It’s really easy to trick ourselves into thinking that this can be selfish or that those 90 minutes a day could instead be quality “productive” time, be it catching up on strategic work, making calls, spending time with the kids, investing in future growth projects, etc. But the brutal truth of the matter is, if I DON’T invest in me first, in my daily creed, everybody else loses because I am not fully present and my fuse is short. Come Friday I am running on fumes, and by the time I leave work physically, there is very little left of me to give to my family over the weekend if I don't take the time to pause and put on my oxygen mask during the week. At the end of the day, if I get really quiet and list that for which I am most grateful, it’s my daily yoga practice. Anchoring to this reminds me that it is not a luxury “if time permits,” it’s the most important ingredient that allows me to keep gratitude, connection, patience, focus, authentic relationships and an enormous level of joy in my life consistently, well after the holiday blogs, parties, cards and gifts stop. And everybody wins. That is the beauty of gratitude – it's not really all about us having appreciation. For me it is the necessity to be able to give, receive and make a lasting impact. Two years ago on Veterans Day, I moved into my new house, designed and built just the way I wanted. I had never before hosted Thanksgiving at my house. When I was growing up in Houston, that was my mother’s joy – hosting the big feast. Since my sister lives in Georgia, to where my entire immediate family gravitated, she assumed the role. Until 2011. My boxes were not even unpacked (just stored out of sight). But, I was finally in my new house with my 1-year-old twins and spouse, and I wanted to show off my turkey! This year my sister’s daughter has a new house and a 2-year-old child, and she wants to be the star of the show. She and my sister are having turf wars. I am staying out of it. I am thankful for the opportunity and ability to be in Myrtle Beach for the entire week, spending a quiet week with my family, good books and good sleep. While I could list all the things for which I am thankful, I will spare you my personal details. Instead, I would rather share something you might find useful in the event you grow tired of football and pumpkin pie. In addition to taking long walks on the beach, chasing my 3-year-olds and picking up shells, I will be spending the week reviewing what worked well in my life over the past one to three years, what didn’t turn out as I had planned and how I would like to see and create the next three years. It is when the mind and body are at rest that these insights can surface. It is when we are feeling thankful for what we have that we can clearly identify and receive more of what we desire. What do you desire? How will you spend Thanksgiving? I would love for you to share what you are most thankful for or how you plan to spend your time. At the retreat, you learned how to tell YOUR purpose story. This is how powerful your story has to impact other people…and if you’re not sharing your story, no one can benefit from your unique set of experiences that make up the amazing being called YOU! The question is, have you been telling it, and using it at the beginning of your presentations? Many of us learn to discount ourselves over the course of our lives because of the amount of suppression of expression we get growing up. But, NOW is the time to realize that your life is valuable and your story has the power to change lives and inspire others to tell their story. Click here (http://georgeiracarroll.com/wp-content/uploads/Mastering-Your-Purpose-Story-Training-Guide.pdf) to get the updated version of the Purpose Story Extraction Template. You will also be reminded (if you’ve been through this training), how to structure your story in a way that makes it easy to tell. Anytime we do anything new, we’ll get uncomfortable - and remember, uncomfortableness is a disguise for growth. So go ahead, tell your story and if it helps you, and it will, practice it a few times out loud. You’ll start to fire off the neurological pattern that makes it easier and easier with each time you tell it! Mastering Your Purpose Story - By now, I think you get this one ;-) Your Purpose Story creates connection, builds trust and sets the stage for everything you’ll say next. Magnetic Messaging and the Magic of Metaphors - Metaphors have a powerful and invisible quality, very much like the moon influences the tide..Magnetically and invisibly. When you start to use these metaphors in your presentations and with clients, you'll be able to bypass cognitive resistance and move people to action, and create more change. The question you want to answer here is: What is working that you like? What’s images and metaphors come to mind? When you get clear on these, you can use them in your presentations. The Hidden Language of Success and Influence - Over the last 8 years, I’ve studied the patterns of success and influence, even in language and the fact is, successful and influential people have language patterns imbedded in the way they communicate that moves people to take action. Think of the greatest influencer of all time, in my humble opinion, Martin Luther King Jr. - He had a way with words and language that brought an entire society to be influenced by his dream. Successful and influential people simply speak with more authority and persuasion than people who lack the influential communication skill-set. Structures of Success Stories and Case Studies - Social proof is one of the most powerful influencers, because it gives people an idea of the possible results of working with you. Very much like commercials use celebrities and public figures to promote their products, your success stories and case studies provides people with a clear awareness of what’s possible when working with you. Persuasive Body Language Secrets - How you use your body has more influence than the words you use - here’s why: 55% of communication is how you use your face and how you use your body. 38% is your vocal variety - tone, tempo, pace, volume, pitch, etc - and only 7% of all communication comes from your words - a very important 7%. Powerful storytellers and communicators use their body and face in a way that draws people in. You can learn to synchronize your body, vocal variety and the words you use to create very powerful persuasive communication. In my Online Training Program - Breakthrough Storytelling Secrets, we’re going to take these 5 Skill-sets and learn how to implement them into your presentations. When you learn to embody communication skill-sets that allow you to be more influential, you can help more people, change more lives and generate more income, while growing your business beyond where it is now. Your business and my business are very much the same - we help people. I realized along the way that if I didn’t have the skills to influence people to work with me, I was missing out on all the people who need me and if we can’t effectively communicate our value to others, we prevent ourselves from impacting more people and creating a business that thrives on it. Is now the time to build these skill-sets? Would your business grow if you strengthened them? Could you help more people? Learn more about this 5-day program through this link below, and contact me if you have any questions at: George@GeorgeIraCarroll.com. One of my favorite sayings is, “you need to feel to heal.” As estate planning & elder law attorneys, you know all too intimately about the need for healing, especially after losing a loved one. The past few weeks on Facebook (Facebook = gospel, right?) I have been stumbling across articles on grief, usually some version of 3, 5, 10 things you must avoid saying or doing when “dealing” with someone going through the grieving process. A few of the articles contained some great tips, others not so good and some just downright offensive. The topic got me thinking about how the grieving process provides a wonderful opportunity for estate and elder law attorneys to authentically and compassionately stand out from other attorneys in their marketplace, simply by connecting in an impactful way with their grieving clients － especially when the pasta salad stops rolling in. June of this year I suddenly lost my father, three weeks after I got the dreaded phone call, “you need to hop on a plane.” I grew up in a close-knit Irish catholic family, one of six children, so naturally this was an enormous upheaval to our family. This has been one of the hardest things I have ever had to cope with. It’s been five months, and in many ways today is much harder than June 5th, the day hospice wheeled my father out of our family home of 42 years. What I took away from the article was not only what not to say when supporting someone who is grieving, but it got me thinking about how to turn what not to do into a beautiful opportunity of what TO do. Sitting here now, when all the multiple sandwich platters, planters, bouquets of beautiful flowers and sympathy cards have stopped, is when I feel that an unexpected reach-out would be so very comforting. The best piece of advice I took away from the many articles I stumbled upon is this: Don’t say “Anything I can do, please shout/call” or similar. The article suggested you offer to do something, anything. Real, tangible things. “I will drop by around 6 p.m. with a few things from the market, I’m doing this regardless, so is there anything specific you would like from the supermarket?” An elusive question like “what can I help with” is not nearly as impactful as an actual do. When you’re grieving, you learn to hear “anything I can do, please call” as “I have no idea what to say and have no intention of doing anything.” Don’t put yourself in that bracket. When you lose someone, it takes a long time to fully process all the little things in your life the departed took with them. You are in absolute shock and feel as if you are walking around in a total fog. For me it was at least 60 days of that. Experiencing small gestures without having to initiate really helps the grieving feel like you really, truly care, not only about “what they are going through” but “how they get through it” just as much. Confusion from significant perspective change will nearly always prevent someone who is grieving from really knowing what they want to the point of being able to take the initiative of asking. Either way, it must feel sincere for them to understand you REALLY mean it. During the first month of someone grieving, there are so many cards and gestures. All very healing, but nonetheless, there are many and all at once. I am finally moving from the denial phase to the grief phase of the grieving process, after more than five months of feeling absolute exhaustion. I would be immensely grateful for an unexpected meal, an offer to take the kids for a few hours, a heartfelt card in the mail at the end of a long day or an offer for coffee to reconnect. From my personal experience, many months after the passing of a loved one, a small gesture would make such an extraordinary impact. Take the opening when someone you care for finds themselves grieving; clients, friends, neighbors, referral sources and family alike. Simply schedule in your calendar, just like you would a dentist appointment, maybe one, two or three reminders over that first year to check in and do something to let them know you are not only thinking of them but are personally attentive to their healing. Drop off a meal, send a card, or offer a lunch date; whatever feels authentic and meaningful for you. Looking back on how I have supported folks in my life through difficult times, I wish I had this invaluable guidance. And in supporting many professionals in this arena of estate planning, I see such an incredible opportunity to make a difference in their client services. As long as whatever you do comes from a place of authentic compassion, you will ultimately stand out from the masses. And knowing you have something so significant in your arsenal fills that helpless feeling of “How can I help” when you initially receive the news, and sending flowers doesn’t really feel like quite enough. There is no generally accepted age at which a person becomes an “elder.” Membership in AARP is open to persons 50 years of age and older. The Centers for Disease Control and Prevention (“CDC”) defines elders as persons 60 years of age or older, as do numerous state statutes. The Office for Older Americans of the Consumer Financial Protection Bureau is “dedicated to the financial health of Americans age 62 or older.” Numerous state statutes define elders as persons 65 years of age or older. The 2010 U.S. Census recorded the greatest number and proportion of people aged 65 and older in all of decennial census history: 40.3 million people, 13% of the total population. It is projected that by 2050, people age 65 and older will comprise 20% of the total U.S. population. In addition to our elders (however defined), approximately 56.7 million of the 303.9 million people in the U.S. civilian non-institutionalized population, representing 18.7% of this group, reported a disability as part of the 2010 Census. Some type of disability was reported by 35% of men and 38% of women age 65 or older in 2011. These “at-risk” adults with disabilities are also often more susceptible to financial exploitation as a consequence of their disabling conditions. Nationally, 30% of adults with disabilities who utilized personal assistance services for support with activities of daily living report one or more types of elder abuse (i.e. physical, verbal or financial) by their primary care provider. For ease of reference in the balance of this blog series, the victims of financial abuse and exploitation discussed shall be generally referred to as “elders,” but other at-risk adults with disabilities of all ages shall be considered part of this vulnerable population for purposes of the discussion. Since women are nearly twice as likely as men to be the victims of elder financial abuse (as discussed in Part 1 of this series), the gender of these elders shall be assumed to be female. The Federal Older Americans Act defines exploitation as the “fraudulent or otherwise illegal, unauthorized, or improper act or process of an individual, including a caregiver or fiduciary, that uses the resources of an older individual for monetary or personal benefit, profit, or gain, or that results in depriving an older individual of rightful access to, or use of, benefits, resources, belongings or assets.” The CDC defines financial abuse or exploitation as “the unauthorized or improper use or the resources of an elder for monetary or personal benefit, profit, or gain. Examples include forgery; misuse or theft of money or possessions; use of coercion or deception to surrender finances or property; or improper use of guardianship or power of attorney.” State statutory definitions of elder financial abuse or exploitation vary widely. However it is defined, it is estimated that financial abuse accounts for 30% to 50% of all forms of elder abuse, and is regarded as the third most commonly substantiated type of elder abuse (after neglect and emotional/psychological abuse). Part 3 of this blog series will address commonly cited reasons for elder financial abuse and the profile of common perpetrators of elder financial abuse. This week's topic is the Implementation Focuser, and how you can use it to boost productivity in your practice. When I hear, “Thank you for your service,” I appreciate those who express it, but I also feel that the six years on active duty during Desert Storm and three years in the reserves during Iraq were not enough. I served, but I was not involved in combat. Nevertheless, I am still a veteran! My service made a difference to our nation. Still, I don’t feel I gave as much as our heroes of WWII, Korea and Vietnam, or the service members still involved today. Although “Thank You” feels like an inadequate expression of gratitude, I am extremely thankful for the unyielding commitment and sacrifices that our Veterans have made. Sacrificing life, family, education, employment and more. As people age, how they live their lives becomes increasingly important to ensure a true quality of life. Becoming physically or cognitively disabled and relying on others is difficult for everyone, but especially so for those who were strong, independent and brave enough to face battles of other kinds. Because people do not enjoy asking for help, often that transcends into also neglecting to seek available resources. Veterans do not know what benefits are available for them. As an elder care attorney, I have the benefit of helping WWII and Korean war veterans and their widowed spouses every day with estate planning and long term care planning. The biggest concern is how to pay for long term care. The Veterans Administration has a program, Improved Pension (with Aid and Attendance) that pays up to $2,054 of tax free income to help pay for home health care, assisted living care and nursing home care. Having access to this benefit is life-changing and life-saving. But, not if no one knows about it. Thus, as a Veteran and an Elder Care Attorney, I have made it my mission to get the word out and ensure there are competent lawyers to help Veterans. To further the mission, I founded Lawyers for Wartime Veterans to help lawyers help Veterans. Through Lawyers for Wartime Veterans, and as an elder care attorney, I feel I am serving my country now more than ever before – by helping one veteran at a time through a nation of competent lawyers. Happy Veterans Day! Know that we are thankful for you and here to support you. I was moved by Victoria's blog post this week sharing her personal story. It was evident after reading it that the annual Lawyers with Purpose Practice Enhancement Retreat not only impacted our members and Victoria, but it had a tremendous impact on me as well. Keynote speaker George Ira Carroll talked about the importance of sharing with the world your personal story, unique to you, and his advice truly resonated. As we began the first day of the retreat, George had me share my story about growing up the youngest of 10 kids in an Italian family that has now grown to a mere 54. Growing up in a neighborhood with lots of kids, and no computers or video games, forced us to play Kick the Can, Red Rover, and Red Light, Green Light. A unique element of those years involved a family business of wholesale foods, in which my mom was the CEO and my dad was the head of sales. I didn't know it wasn't normal for a woman to run a company in the 1960s, 1970s, and 1980s. I further shared my excitement that over the 25 years they ran the business, they increased it 35-fold. I learned so many lessons along the way that now are a treasure trove for success in my life. For the last 13 years of my traveling to do Lawyers with Purpose training, all my son knew was that his dad was leaving again, never understanding what I did when I traveled. Experiencing firsthand the people who came up to him compelled to share their stories, that changed his life. I must admit, I was very hesitant to share my personal story, let alone my precious family. Members were thrilled, but what I never expected was the invaluable, irreplaceable experience that changed my son’s perspective forever. Now, as I prepare to leave home again for LWP, my son tells me only to have fun. What I learned from George and from the experience overall is that the more we share of ourselves, the greater the relationships we have with those around us and the greater the love we have to share. I encourage you to share your story with your clients, co-workers, and friends, because the rewards can be amazing.